Introduction to Programming in Java. Chapter 1: Elements of Programming introduces variables; assignment statements; built-in types of data; conditionals and loops; arrays; and input/output, including graphics and sound. Chapter 2: Functions highlights the idea of dividing a program into components that can be independently debugged, maintained, and reused. 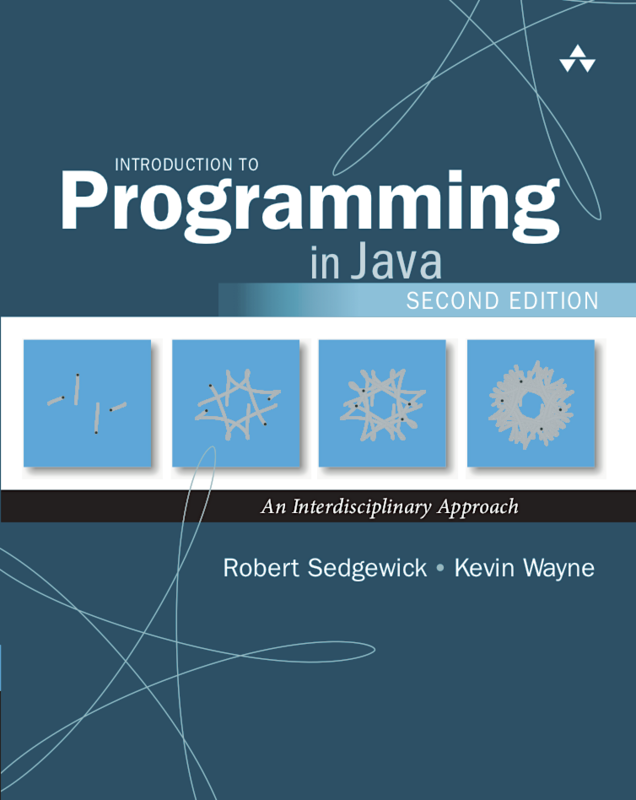 Chapter 3: Object-Oriented Programming emphasizes the concept of a data type and its implementation, using Java's class mechanism. 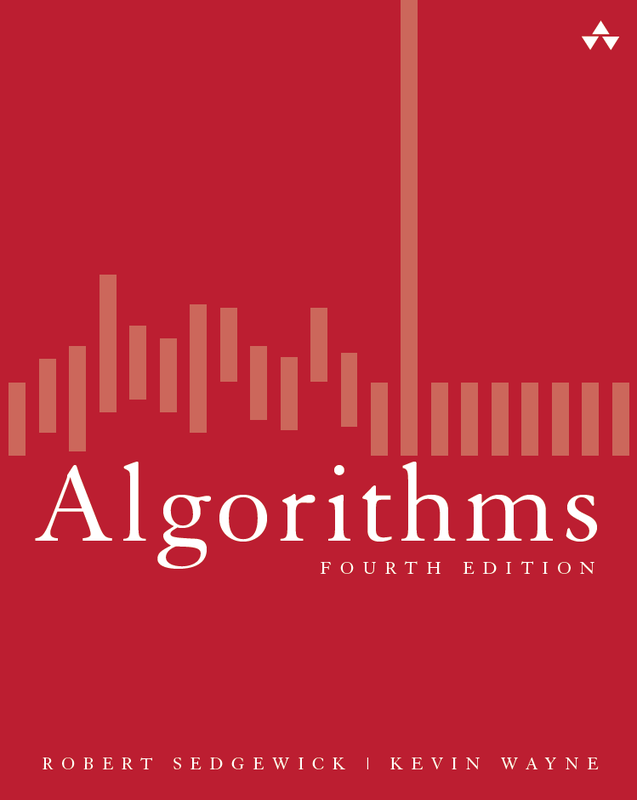 Chapter 4: Algorithms and Data Structures discusses classical algorithms for sorting and searching, and fundamental data structures, including stacks, queues, and symbol tables. Our textbook Computer Science [ Amazon · Pearson · InformIT ] contains Introduction to Programming in Java as its first four chapters. The second half of the book explores core ideas of Turing, von Neumann, Shannon, and others that ignited the digital age. 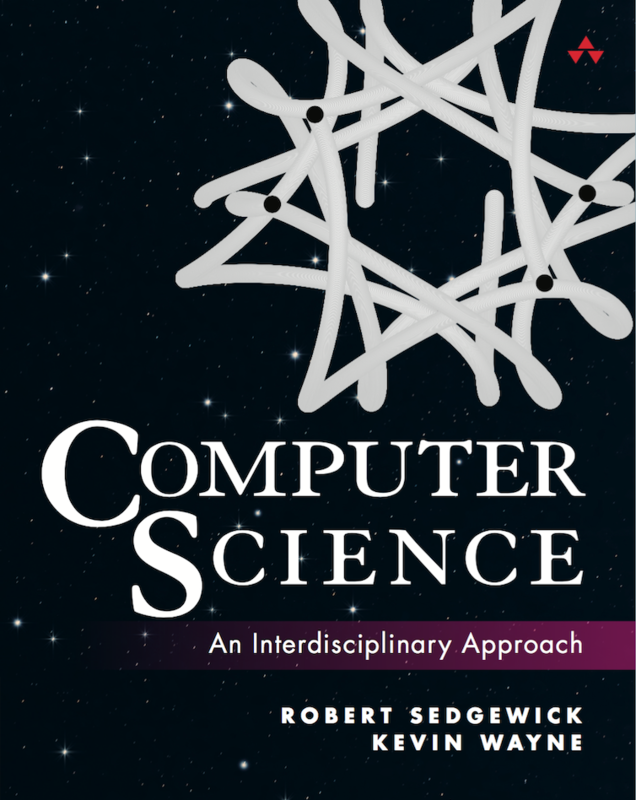 Chapter 5: Theory of Computing surveys the fundamental concepts of universality, computability, and intractability, which raise questions about the role of computation in understanding the natural world. Chapter 6: A Computing Machine describes a simple imaginary machine that has many of the characteristics of real processors at the heart of the computational devices that surround us. Chapter 7: Building a Computer considers the design of a processor, including Boolean logic, combinational circuits, and sequential circuits. Excerpts. A condensed version of the text narrative for reference while online. Exercises. Hundreds of exercises and some solutions. Java code. Hundreds of easily downloadable Java programs, real-world data sets, and our I/O libraries for processing text, graphics, and sound. Java. Here are instructions for setting up a simple Java programming environment for Mac OS X, Windows, and Linux. Lecture videos. Studio-produced videos are available from InformIT. Online course. You can take our free Coursera MOOCs Computer Science: Programming with a Purpose and Computer Science: Algorithms, Theory, and Machines. To adopt. You can request an examination copy. ACM/IEEE cites COS 126 as a course exemplar. 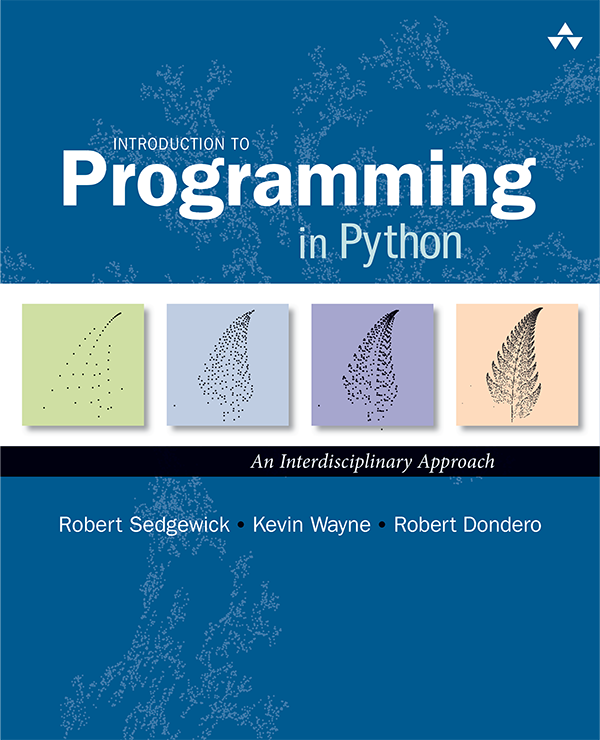 We also have a Python version of Chapters 1–4 of our textbook. Last modified on March 20, 2019.